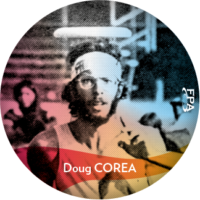 Doug Corea is best remembered as being highly athletic with a huge motor. He was non-stop action. His play with partner Dave Marini set the tone for state of the art freestyle play in the mid 1970’s.